The holidays can be one of the most stressful times in your life so we have the templates you need to take some of the weight off your shoulders. The free template document has everything you need to take the boring elements of the holiday season and turn them to your advantage. With templates that help you organize your decoration schedule and templates to help you plan your holiday card/invitation list, you’ll complete these holiday tasks in half the time it would normally take. To get started with these free Christmas templates just follow the set of instructions we have conveniently provided below. To download your free Christmas Checklist Templates, just scroll to the bottom of this page and follow the link that we have given. Take a look at some of the templates listed below. You will find ones for making holiday cookies, for entertaining Christmas party games to introduce when you have people over, and various templates that organizes your holiday tasks, such as wrapping gifts, sending cards, and much more. You will need to choose the one you want or all of them, then follow the link to download the template. As a brief introduction, the Christmas cookies template gives you a list of holiday cookies to make, the entertainment template provides you with fun party games, the gift wrapping template shows you how to properly wrap a gift and the decorating templates help you decorate indoor and outdoor with whimsical décor. 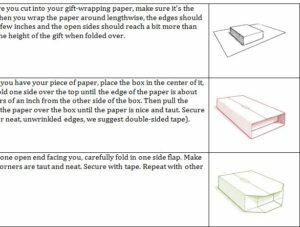 You can also use the holiday cards template to organize how you want to do your Christmas cards and you can even get some tips for giving gifts as well. The ones you want are available below, but as stated above, you can download them all! You can use the Christmas Checklist Templates to make your Christmas celebration and season the best you’ve ever had.